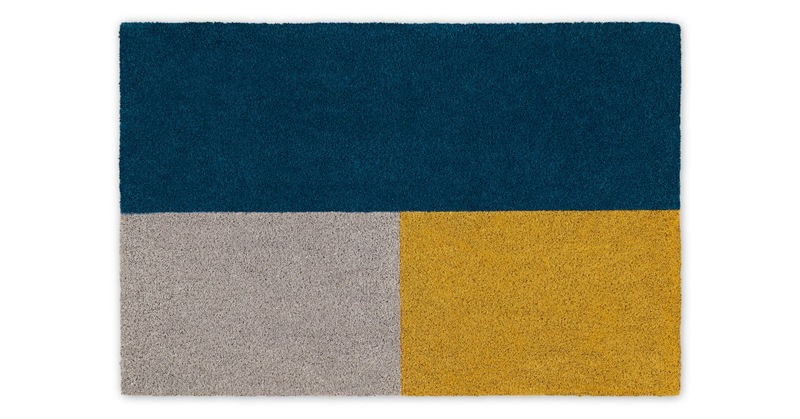 Start style at the front door with the Elkan doormat. Its colour block design makes a bold entrance. Crafted in coir – that’s a tough blend of coconut fibres – simply shake or brush our Elkan doormat for a speedy clean. Elkan’s extra large size makes this doormat great for large doorways – or lots of guests. You can’t miss its striking colours. Front:100% Coir, Backing: 100% PVC Allow dirt to dry before brushing. Shake or brush to remove dirt. Suitable for indoor and sheltered outdoor use only.